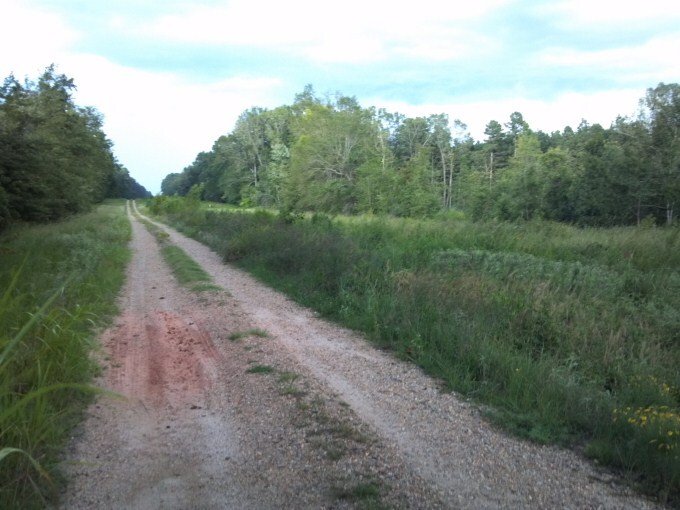 45.58 acres of South Arkansas Land offered for sale. The property is situated on good ground just minutes from downtown Magnolia, Arkansas. It is easily accessible from an Albemarle road that crosses the land near the East side. Additional interior access is provided by several woods roads and shooting lanes. This property is located near Big Creek and will provide you with your own excellent and private place to hunt White-Tailed Deer and Turkey. Several box stands are already in place and will transfer with the acreage. COMMENCING AT THE NW CORNER OF SECTON 4, TOWNSHIP 17 SOUTH RANGE 21 WEST, RUN SOUTH 88 DEGREES 14' 24" EAST 1299.03'; THENCE SOUTH 0 DEGREES 53'08" WEST 503.29' TO THE POINT OF BEGINNING; THENCE SOUTH 88 DEGREES 20' 38" EAST 1300.58'; THENCE SOUTH 0 DEGREES 42' 16" WEST 171.22'; THENCE SOUTH 88 DEGREES 20' 38" EST 1324.25' THENCE SOUTH 0 DEGREES 48'34" WEST 671.43; THENCE NORTH 88 DEGREES 20' 38" WEST 2626.38" ; THENCE NORTH 0 DEGREES 53' 08" EAST 842.63 TO THE POINT OF BEGINNING, CONTAINING A TOTAL OF 45.58 ACRES, WITH 20.40 ACRES IN THE NW 1/4 NE 1/4 AND 25.18 ACRES IN THE NE 1/4 NW 1/4 OF SAID SECTION 4, ALL IN COLUMBIA COUNTY, ARKNASAS.